Van Damme is a great spot for the entry level diver as well as the advanced diver. The dive site is across the road from the Van Damme State Park Campground entrance. There is usually plenty of parking available in a paved parking lot and amenities include two outdoor shower heads for rinsing you and your gear as well as two outhouses maintained daily by the State Park Service. 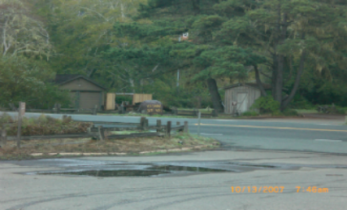 The entrance to the parking lot is approximately 3 miles South of the town of Mendocino on Highway 1. Watch for signs for Little River and as you come around the sweeping bend in the road you will be able to see the parking lot and dive site. Pull over in the turn-off overlooking the water to check out conditions before heading down the hill. From Crescent City, take Highway 199 East to Hiouchi. About 1.5 miles past the Hiouchi Chevron Station, turn right onto South Fork Road. 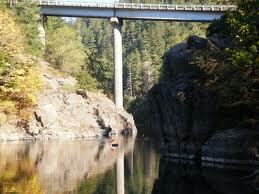 You will drive across the Nels Christensen Memorial Bridge, fondly referred to by the dive community as Slant Bridge. After crossing the bridge watch for the Forks Boat Ramp – River Access sign. Turn right and drive down into the parking lot. The best access to the river is at the far East end of the parking lot, which then places you at the furthest end of the parking lot away from the rest rooms! The trail to the river runs parallel to the river from the parking lot. From Grants Pass, take Highway 199 West towards the coast. 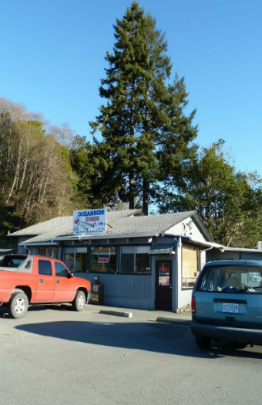 About 1.5 miles from Hiouchi, turn left onto South Fork road. Drive over the Nels Christensen Memorial Bridge, fondly referred to by the dive community as Slant Bridge. After crossing the bridge watch for the Forks Boat Ramp – River Access sign. Turn right and drive down into the parking lot. The best access to the river is at the far East end of the parking lot, which then places you at the furthest end of the parking lot away from the rest rooms! The trail to the river runs parallel to the river from the parking lot. From Crescent City – Take Highway 199 East to Highway 197. 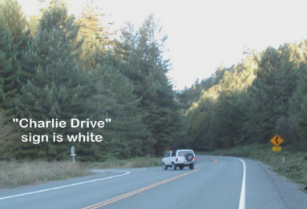 Turn left on Hwy 197 and drive approximately 3.2 miles, just past the golf course, to Charlie Drive. Turn left on Charlie Drive. Go slow, the road goes from paved road to hard pack to huge mud puddles most of the year. As soon as you hit the river bar take the East road (you can go South or West also) and follow the very rocky road to the river. From Grants Pass take HWY 199 west, toward Crescent City. Stay on HWY 199 west until you reach HWY 197. Turn right on Highway 197. From there go approximately 3.2 miles, just past the golf course to Charlie Drive. Turn left onto Charley Drive. Go slow, the road goes from paved road to hard pack to huge mud puddles most of the year. As soon as you hit the river bar take the East road (you can go South or West also) and follow the very rocky road to the river. 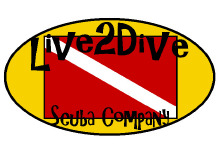 Flow rates need to be under 2000 for easy diving. 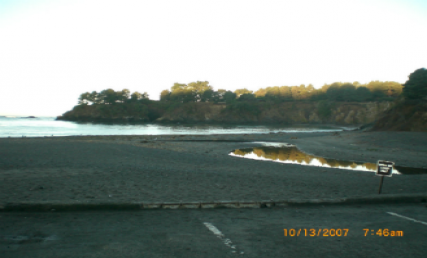 From Eureka – Take Highway 101 North past Crescent City to Brookings. At the first stop light in Brookings after 101 becomes two lanes in each direction, turn left onto Lower Harbor Road. Turn left in the marina parking lot (when you see the Oceanside Diner, you are there! From Grants Pass - Take Highway 199 West out of Grants Pass; to Hwy 197 North to 101 North. Turn right on Highway 101 North toward Smith River and Brookings At the first stop light in Brookings after 101 becomes two lanes in each direction, turn left onto Lower Harbor Road. Turn left in the marina parking lot (when you see the Oceanside Diner, you are there!